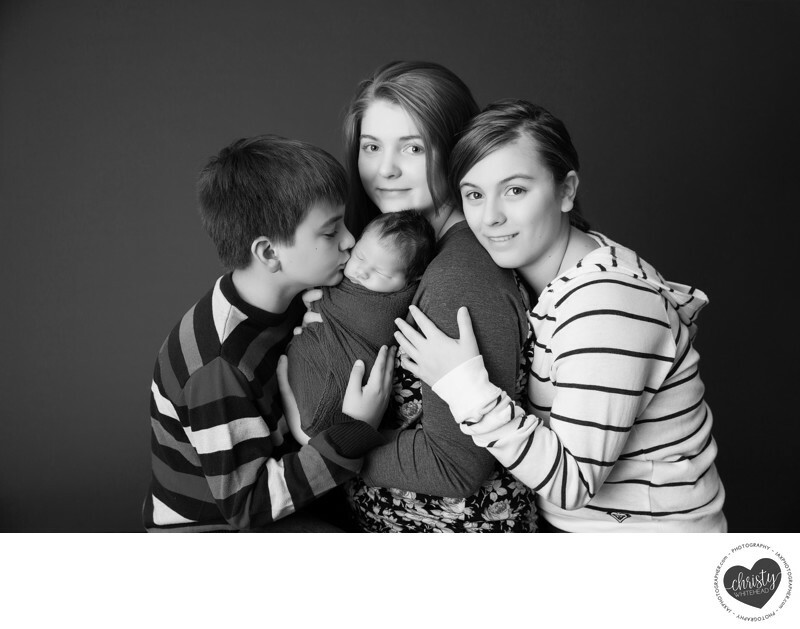 Siblings portrait in B&W with brother kissing newborn - Newborn Photography | Schedule Your Newborn Shoot Today! Sweet family of siblings of different ages. Rory is their new baby brother.